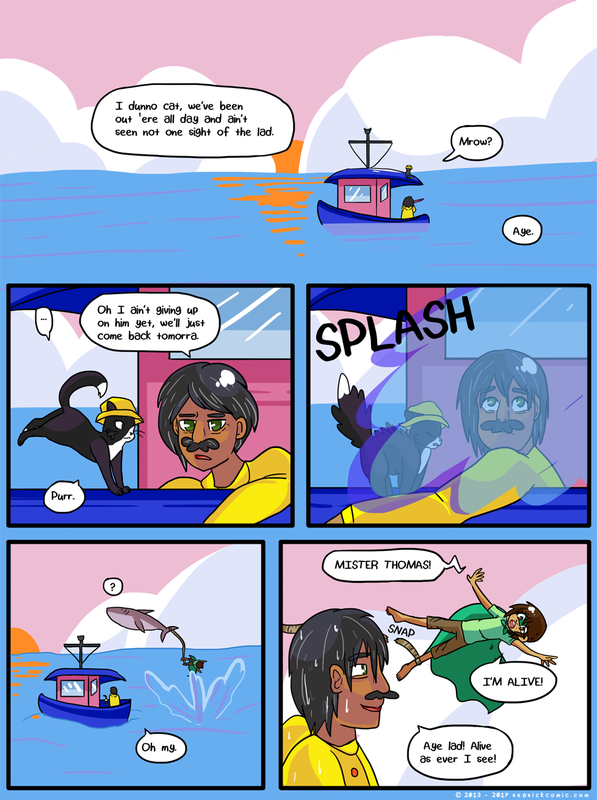 chapter-one-page-seventy-two – Seasick – The Underwater Adventure Comic. Updates Fridays! on April 3, 2017 and modified on April 3, 2017. We missed you Mr. Thomas & Mr Thomas’ cat!! Feels weird being on the surface again…thanks for reading today’s page of Seasick!